Beginning in 2003, a group of CIC officers took on the challenge of designing a VALID and exciting competition for all Air Cadets in Alberta. The result? 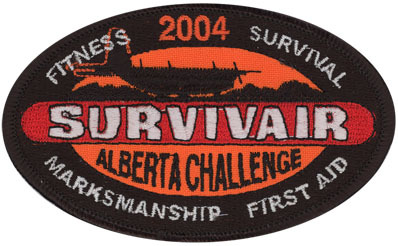 The Alberta Survivair Challenge. 878 Squadron offers the Mandatory AirCrew Survival courses to our Level cadets at each of the appropriate levels. 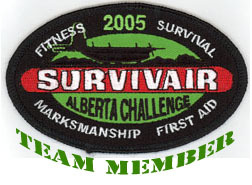 In addition, cadets may apply to be a member of the Survivair Team for each training year.